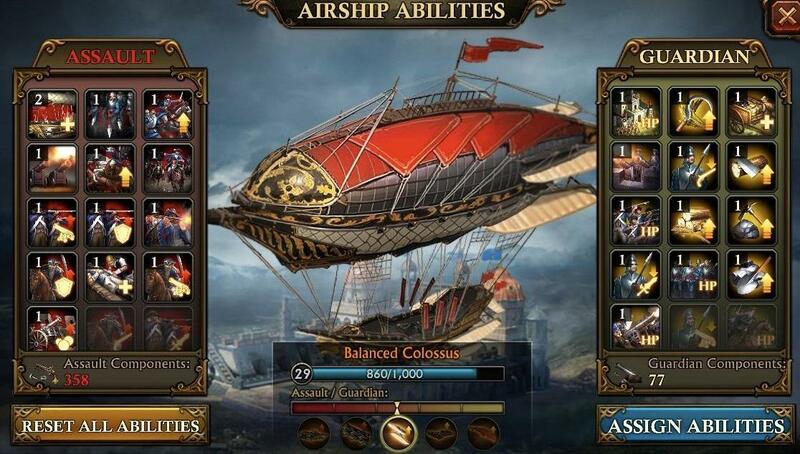 Play Guns of Glory, a real-time strategy game with steampunk themes with musketeers and powerful airships. Be the supreme ruler: seize the crown from the power hungry Cardinal and beat your foes in all out warfare. Build your base, manage resources, form or join an alliance, and destroy your enemies! If you’ve seen the ads, Guns of Glory may not be the game you’re expecting. Instead of a strategy game in the likes of Total War, it’s a rehash and reskin of the RTS titles you may have already played before. Unlike others though, its theme is fairly unique: it has musketeers, airships, and other steampunk elements to get the job done. Unfortunately, this is the only thing that sets it apart: it’s a game where you do the usual grind. With that said, is it still worth looking into? Let’s check it out. Guns of Glory starts off in a promising manner: introducing you to a short cutscene wherein you are the musketeer framed for the murder of the king by the power-hungry Cardinal. A battle sequence starts and it’s obvious that you are outgunned and outnumbered. Fortunately, you and your mates will be rescued via airship. If you’re keeping your hopes up that scenes like this will be available and you will get to actively control your units, you should not. Though army clashes are animated, this cutscene was all for show and does not reflect the gameplay. After you’re rescued, you’re launched into the task of managing your estate, which of course, is this game’s version of a base. A tutorial will ensue, telling you to work on a variety of tasks which lets you grasp the game’s concepts. 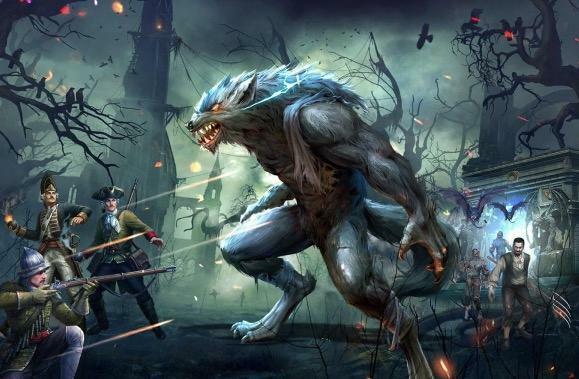 These include doing things like building a new structure and attacking monsters and NPCs surrounding your base. From the tutorial, you will know that it’s the usual cookie-cutter real-time strategy title. As such, it has timers, although you can speed things up for free if only a few minutes are on the clock. Constructing buildings is also a huge part of managing your estate, and the usual upgrade mechanics and prerequisites are part of the game. Training units and researching new technologies also follow the same prerequisite mechanic. Battling other players and NPCs scattered around the world is pretty straightforward. You will get to choose which units to send and after you’ve done that, pick a location, base, or unit to attack. After which, you will be able to see your army march to the designated area. After they make it, a short animated battle on the map will start and the results will be sent to you thereafter. As said earlier, you don’t get to control your units or actually join in the fun: the winning side is decided through attack power and other statistics. One of Guns of Glory’s positives are its well-made rendered graphics and exemplary art style, which is in display whenever characters show up. Everything looks good on the eyes in this aspect. Meanwhile, the game also has a multiplayer element which mainly includes forming alliances with other players. Considering that it’s a free-to-play game, premium players will generally have an advantage over free ones due to the staggering amount of microtransactions in the game. Overall, Guns of Glory is nothing new. It’s definitely not a landmark title or anything you should be raring to get your hands on. However, if you’re looking for a new real-time strategy to invest in, this should be one of your options.